Billy Riggs’ book “How To BECOME a Born Leader” was just released in October of 2018. In the book, Billy Riggs explains the difference between a boss and a leader. The boss lurks behind to prod, goad, and threaten workers, or stands in front to entice them to do jobs they would never do otherwise. 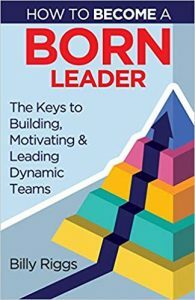 A leader, by contrast, burrows into the hearts of employees and sets them afire with a desire to do those very things. Billy Riggs offers a roadmap to wean managers away from the carrots-and-sticks approach and empower them with tools to motivate workers from within. You will be thrust into a centrifuge and spun until the weightier qualities of a leader have been separated out and the superficial features of a boss may be cast off, leaving only pure leadership behind. 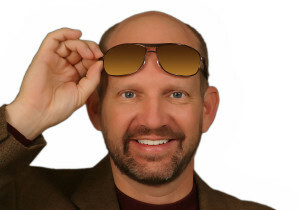 Billy Riggs provides keen insights into the difference between a boss and a leader. Leaders and those learning to be leaders will find the leadership journey presented in this text a challenge, but one worth the effort. Your team deserves the best, and Billy Riggs can guide you on that journey. Billy Riggs presents a fascinating look at the six leadership styles through his Leadership Pyramid. He reveals why some managers struggle to lead and why others are seem to be born leaders. It is a must read for any leader who desires to be effective and wants to invest in themselves and their people. Leadership in non-profit organizations can result in more rewards than money can buy. Billy Riggs nails it by showing us how to bring out the leadership in us that others love to follow. For more information on Billy Riggs, click here.